Turn your students into motivated writers! StoriumEdu is an online game that makes writing more accessible, fun, and rewarding for students. StoriumEdu turns writing into a turn-based multiplayer online game. 1Teachers select or create storyworlds, sets of digital playing pieces that help students write stories with a specific style or learning goal. 2Each student controls a character, giving them a personal stake in the story. 3Visual art inspires and enriches student writing. 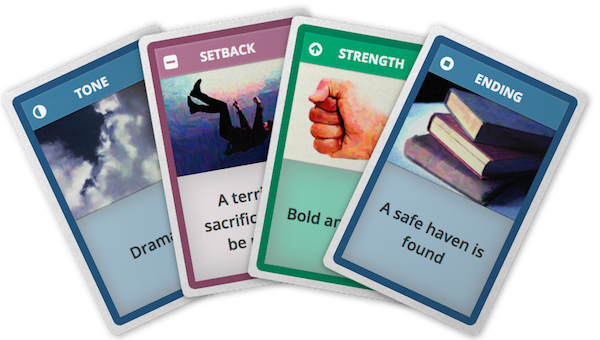 4Unique game mechanics unlock creativity, motivate students to write, and reward progress. 5Paragraph by paragraph, students collaboratively write stories by playing a game. of teachers say StoriumEdu noticeably improves student motivation. of beta testers would recommend StoriumEdu to a colleague. 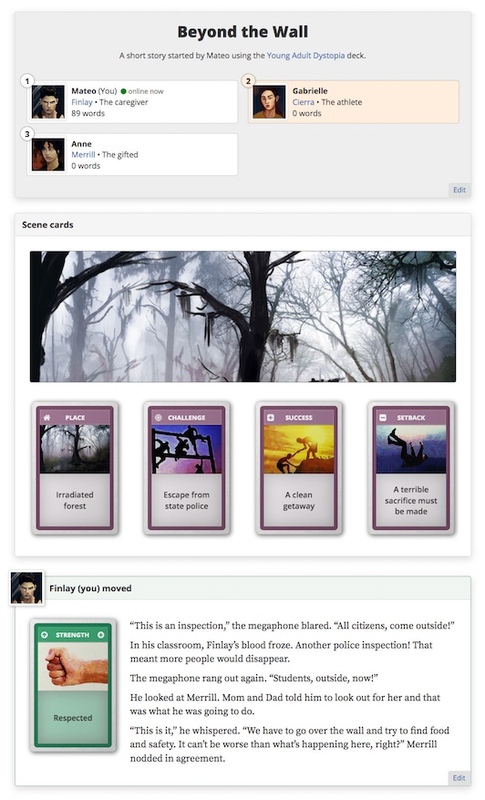 of students say StoriumEdu is more fun than traditional writing assignments. words already written, just by playing a game! StoriumEdu offers a 30-day free trial, during which you have full access to every feature and every part of the game. Have questions about our pricing? Contact us! Designed and tested with students of all ages. Appropriate for late elementary, junior high, and high school students. Web-based, with nothing to install! Works on Chromebooks, laptops, desktops, tablets, and smartphones. Designed for COPPA and FERPA. No personal student information collected or shared. The teacher is always in control. Many applications, including Language Arts, ESL, history, creative writing, social emotional learning, and project-based learning.